Gender and Identity in the Works of Osonye Tess Onwueme is a seminal analysis of sixteen plays and one novel by Osonye Tess Onwueme. One of Africa’s most prolific and versatile women playwrights, Onwueme has recently extended her creative domain to prose-writing. This volume emerges as an invaluable contribution towards the controversial global discourse on gender, race relations, tradition vis-à-vis modernity, as well as multiculturalism. It demonstrates the interconnectivity of the African on the Continent and in the Diaspora, while at the same time it rewrites the feminine story in a refreshingly authentic way. Onwueme’s concern with femininity does not necessarily entail the usual process of transforming his/tory to her/story, rather, it involves a unique articulation of both inter and intra gender relations that actually calls into question hitherto/contemporary theories on femininity. Her obvious critique of these forms of associations constitutes an indictment on feminism, womanism, motherism, sisterhood, stiwanism and others, which have failed not only women (particularly the less privileged women), but also men with prescriptions for the stability and enhancement of the larger society. 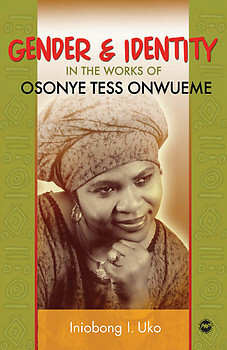 The volume comprises an introduction, seven exclusive chapters of insightful analysis of Onwueme’s creative works, an interview with Onwueme and a chronology of her life, events, and works. INIOBONG UKO teaches African, African American, and Caribbean literatures in the Department of Africana Studies, University of Michigan-Flint, where she is a Visiting Assistant Professor, on sabbatical from the University of Uyo in Nigeria. She specializes in African and Diaspora Women’s writings. Her articles have appeared in leading literary journals in Africa and the United States.